An educational family event with popular authors, illustrators, storytellers, entertainers and exhibitors who support reading and education is coming to Costa Mesa this Sunday — and it’s free to attend. The 13th annual Orange County Children’s Book Festival will feature 125 authors, more than 25 illustrators, dozens of storytellers, a petting zoo, themed-stages, book giveaways, food vendors, face painting and more. 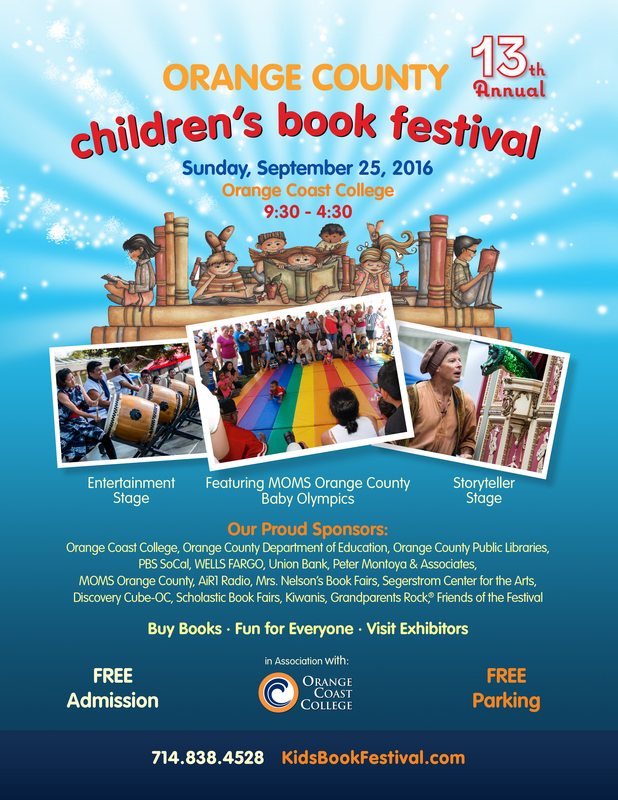 Sponsored by OCDE and other local agencies, the Sept. 25 event looks to bring families together to read together. OCDE will be at booth No. 30, giving away free books, donated by Think Together, and a free bookmark specially designed to promote the One Billion Acts of Kindness initiative, while supplies last. The books essentially represent a double-dose of kindness, having originally been donated to Think Together during the OC Fair’s We Care Wednesdays this past summer. After nearly five years of participating in the festival for OCDE, Granger says her favorite part of the event is seeing children light up when they get to choose their own book. The OCCBF will be held Sunday, Sept. 25 from 9:30 a.m. to 4:30 p.m. at Orange Coast College at 2701 Fairview Road in Costa Mesa. It is open to the public and free to attend. Parking is also free. More information, including the festival guide, can be found here.